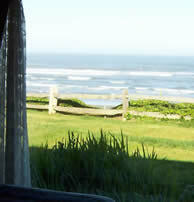 "Rustic" is an individual ocean front cottage just a few feet from the beach. 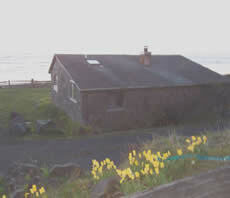 Fully equipped kitchen, brick raised hearth wood-burning fireplace. 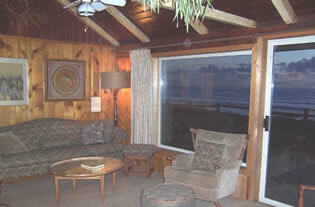 Spacious living room with spectacular ocean view, sliding glass door and sun deck. TV ~ DVD ~ VCR . Bath with tub and shower. 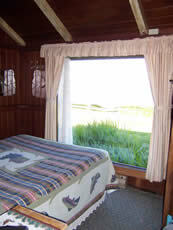 West bedroom has a queen-size bed and excellent ocean view. Twin trundle beds in the living room. 6 person maximum occupancy. 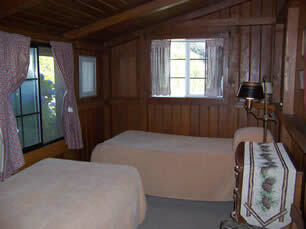 All cottages are pet friendly and all are non-smoking.